Bishop Donald Alford, a life-time resident of South Bend was reared and received his elementary education in the South Bend Community School Corporation. After graduating from Washington High School, he attended Bethel College and then went on to pursue his life-long dream of becoming a funeral director. In 1961, he graduated from Worsham College of Mortuary Science. After serving his apprenticeship, he founded Alford’s Mortuary on August 15, 1964. Alford’s Mortuary is now in its 53rd year of servicing the people of the Michiana area. Bishop Alford remains a licensed embalmer and funeral director and is a member of the Indiana Funeral Directors Association as well as the National Funeral Directors and Morticians Association. Bishop was also the first Black local president of the South Bend area Funeral Directors Association, District II. Bishop Alford has also served the South Bend community in the following capacities: local president of the NAACP of which he is a lifetime member; Board of Hearing and Speech member; Junior Achievement board member; member of the American Institute of Banking from which he won an award for Public Speaking; Western Avenue Business Corridor Association member; past president of the City of South Bend Safety Board; a past commissioner on the South Bend Re-development Commission, as well as many positions too numerous to list. Bishop Alford has received a Key to the City of South Bend. He also received the Drum Major Award from Mayor Luecke in 2003. He was invited by Congressman Donnelly to attend the 2012 Prayer Breakfast in Washington D.C. He and his wife received the 2013 Trailblazer Award from the South Bend Heritage Foundation. In July, 2013, Bishop received the Sam Jones Trailblazer Award from the Governor of Indiana, Michael Pence. He is the first African-American to serve on the Indiana State Board of Funeral Directors. 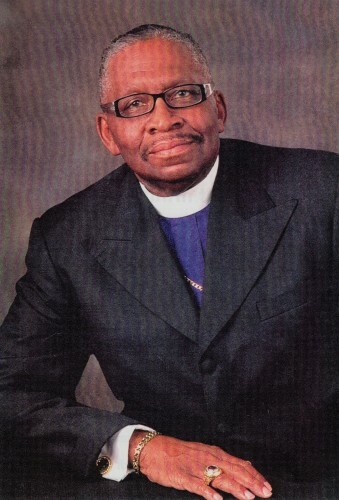 In addition to his profession as a funeral director, Bishop Alford was ordained as an elder in July 1964 and subsequently founded the Pentecostal Church of God in Christ in October 1972. In 1997, the congregation erected a new church edifice, Pentecostal Cathedral. Plans are currently under way for the Alpha Omega Family Life Center to be built. He was consecrated to the office of Bishop in November 2006 and holds his present position as Prelate of the 4th Ecclesiastical Jurisdiction Indiana North Central, Churches of God in Christ. He was fortunate to travel to Jerusalem in 2010 where he spoke to an audience on the Sea of Galilee. Bishop Alford is married to his wife of 54 years, the former Mary Harold and is the father of three children; 15 grandchildren; and 10 great-grandchildren.